Went to the Cincinnati Krohn's Conservatory and got a few butterfly macros! Mike Nethercott, Cellist66, and 81 other people added this photo to their favorites. AWESOME! The detail in the eye is amazing! Whoa! 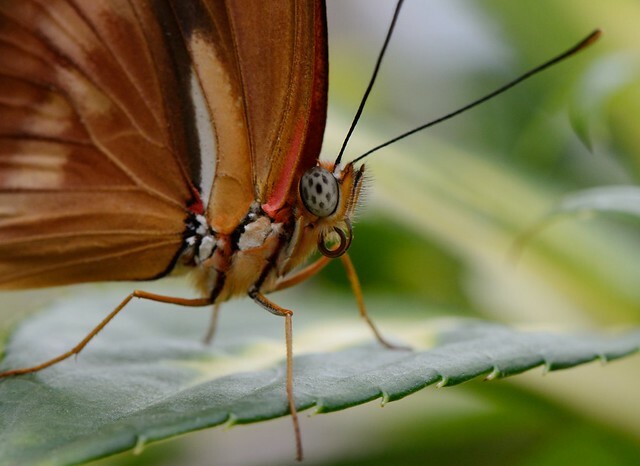 Butterflies are weird up close! I like your choice of framing. That eye is so interesting! It's a beautiful image! Marvelous macro shot! Love the compo and cut !! !